The Kid turn into tiny little creatures after they eat candies given by a magician. 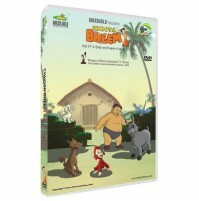 Watch Bheem fight him out in whatever size he is in! The precious mani of the snakes clan is lost. Bheem helps to restore it back to its original place. Raju and Bheem start flying all over Dholakpur after dhuni baba grants their wish! Also watch save the royal sword of Dholakpur in -The Sword-. Have fun watching it, as much fun we had making it !